If you’re seeking cooler temperatures than the sandy white beaches offer for your summer vacation but looking outside of Colorado, we have just the place for you. Jackson Hole, Wyoming is garnering popularity as a summer destination from people all over the country (and world!) with good reason. The town has charm and great shopping; the restaurants are plentiful, and the scenery is nothing short of spectacular. Surrounding the wide open spaces scattered with unique wildlife are the Grand Teton Mountains, which provide all sorts of activities for the adventurous type. 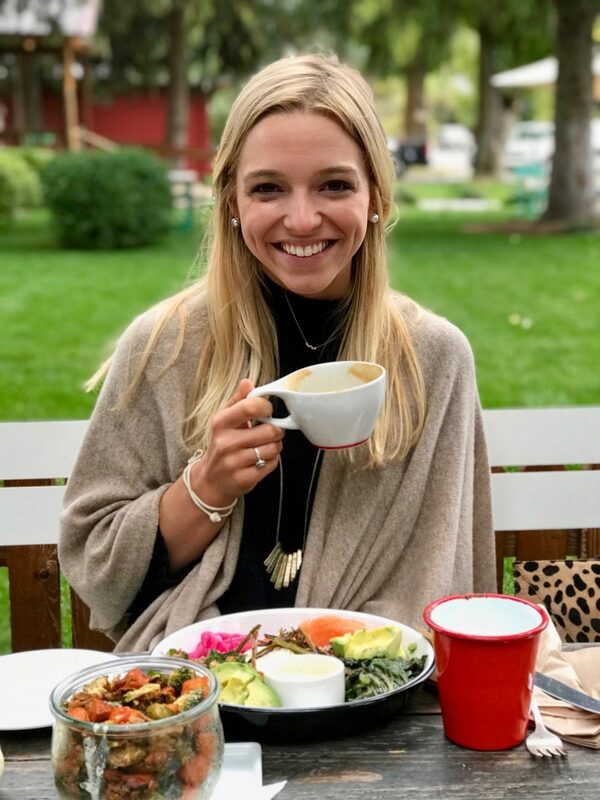 Both Lyndsey and I have visited in the last year outside of ski season, so we pulled together our favorite spots and suggestions to share with all of you! 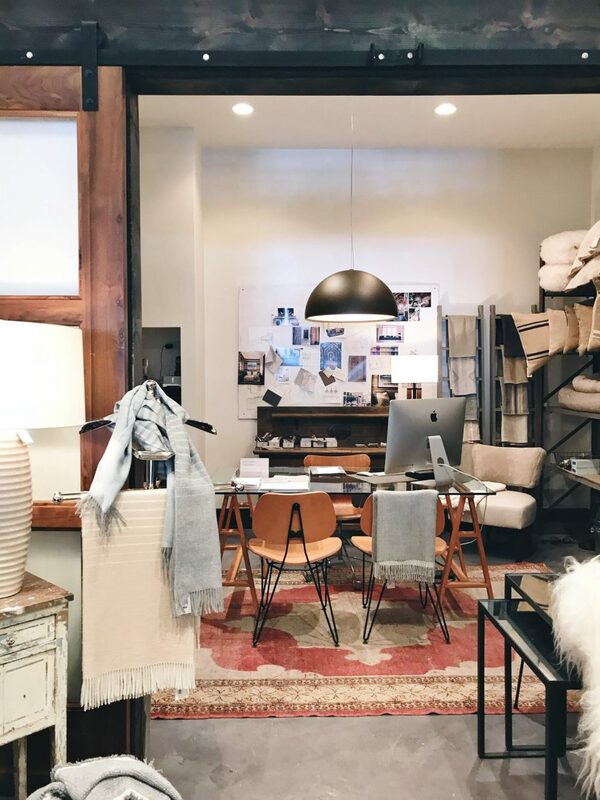 Terra – Shop familiar brands (think Sundry, Joie, A.L.C. and the like) for you and your little ones at this contemporary clothing boutique in town. Most pieces reflect the Western influence that the town embodies, so stop here first to add some flair to your vacation outfits. MADE – His and hers gifts are best found here in Gaslight Alley. Every item is handmade by a local Wyoming artisan, making them all unique and worthwhile souvenirs to take home. Mountain Dandy, its next-door-neighbor and brother store, is a haven for guy gifts. Twenty Two Home – Peruse their website to see the wealth of luxury home goods offered at this store in the town of Jackson. A blend of furnishings that are true to the rugged surroundings while also sophisticated, you’ll be sure to find something suitable to take home. Altitude – A chic clothing and home goods boutique in the heart of town where you’ll be hard-pressed not to find something that suits your style. Like Terra, most styles have a Western influence. Bootlegger – What used to be the sole shoe store in town is now home to the chic boutique that is Bootlegger. The family run business is still the best place in town for winter footwear, but you’ll find other fashionable pieces like wrap bracelets and unique denim. Art Galleries – Enjoy a diversified selection of art and sculptures at Astoria in town and abstract animal artwork at Ringholz. Both galleries are located in town. other favorites: Habits for jewelry and clothing, Rodeo for designer goods in Teton Village, Roam for baby and home. Amangani – Enjoy some of the finest views the town has to offer from this hotel at its renowned wellness center. Schedule a Snake River deep-tissue stone massage or any of their special Alpine inspired treatments. Then, take a dive in the pictured infinity pool. 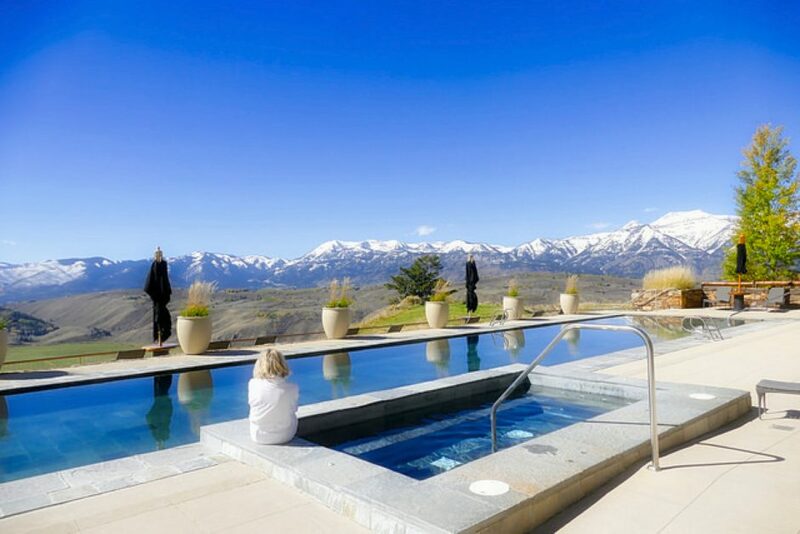 Four Seasons – Recover from any jet lag with an oxygen infusion facial, enjoy an Alpine massage after a few days of adventuring or enjoy a girls’ day getting manis, pedis, blowouts and the like in the heart of Teton Village. Café Genevieve – An in-town staple serving a breakfast, lunch and dinner sure to please all types of appetites and accommodating to larger groups. Persephone – This picture perfect spot cannot be missed even if it’s just for a quick latté to go. The old bungalow has been restored into a tiny bakery with hot and cold beverages and a small breakfast and lunch menu. Picnic – A more colorful sister to the popular Persephone, this spot practices what it preaches: grab and go fresh foods to create your very own picnic in the midst of the nature wonders Wyoming offers. Inside you’ll find aaall the coffee, bowls, piled-high toasts and fine wines in a can to conveniently carry away to your outdoor meal. Lotus – The wellness inspired menu here will leave you feeling happy and healthy. Grab a craft botanical cocktail or an acai bowl in the AM as a refreshing way to fuel up for your day. 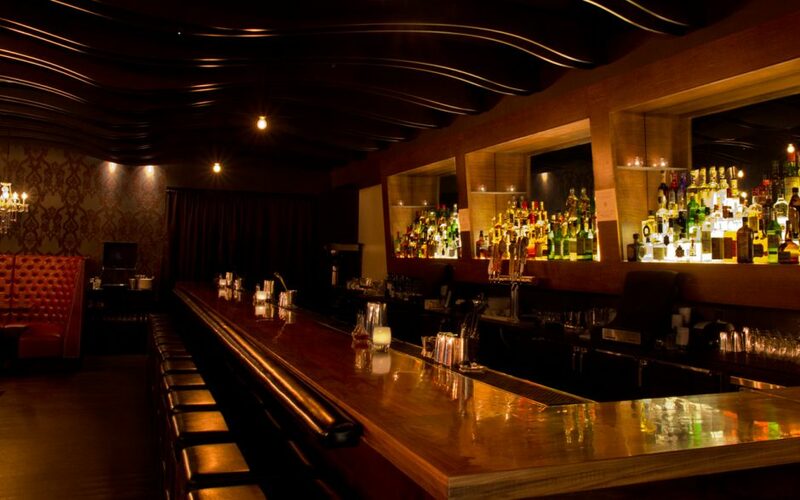 Teton Thai – A casual spot in the village that’s always crowded for the laid-back atmosphere and killer Thai fare. Snake River Grill – An in-town Jackson establishment that serves local staples like elk chops and unique favorites like green chile onion rings and a steak tartare pizza. Do not miss the eskimo bars for dessert. 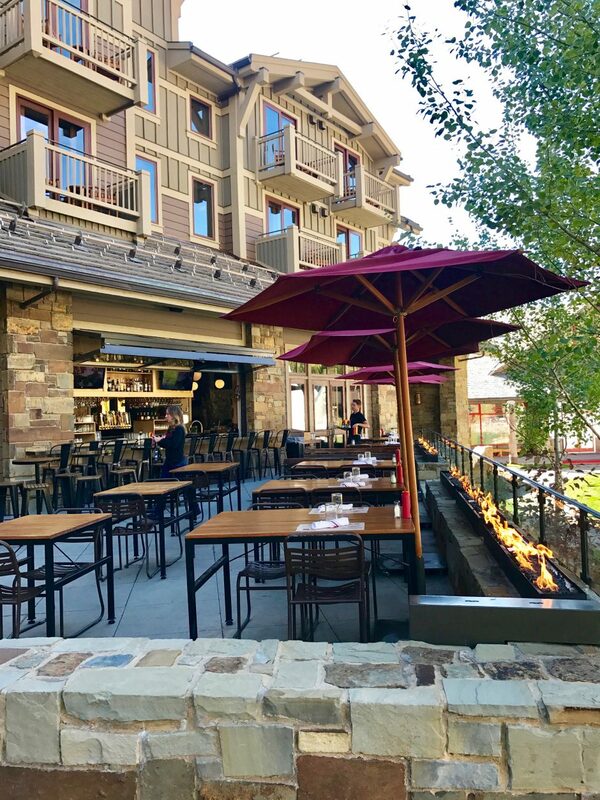 Old Yellowstone Garage – Located inside The Caldera House (see hotels), the menu here hosts the perfect combination of Italian classics like lasagna with trendier dishes like confit mac and cheese. And the pizza is a definite crowd-pleaser. The Rose – This unassuming spot sandwiched in a shopping center is the jewel of Jackson’s craft cocktail scene. I order The Vivrant Thing with Ford’s gin, Campari, grapefruit and lime. As of this year, the kitchen offers late night bites inspired by the local cuisine. The Million Dollar Cowboy – The ambiance fits the name: this bar cannot be missed for a round of pool and beer with your whole gang. There’s a steakhouse below for those looking to make a whole night of it! Piste – Take the gondola up to soak up the views, grab a snack and sip on a cocktail, glass of wine or local brew. Summer service ends mid September but ramps back up for the ski season. Caldera House – Be sure to book your sprawling suite here a few months out: there’s only eight. Think minimalism meets mountainside escape for the interiors. Guests receive the royal treatment when it comes to concierge services to be sure your Jackson experience is mapped out perfectly. The on-site gear shop, Mudroom, will ensure you’re properly equipped, too. 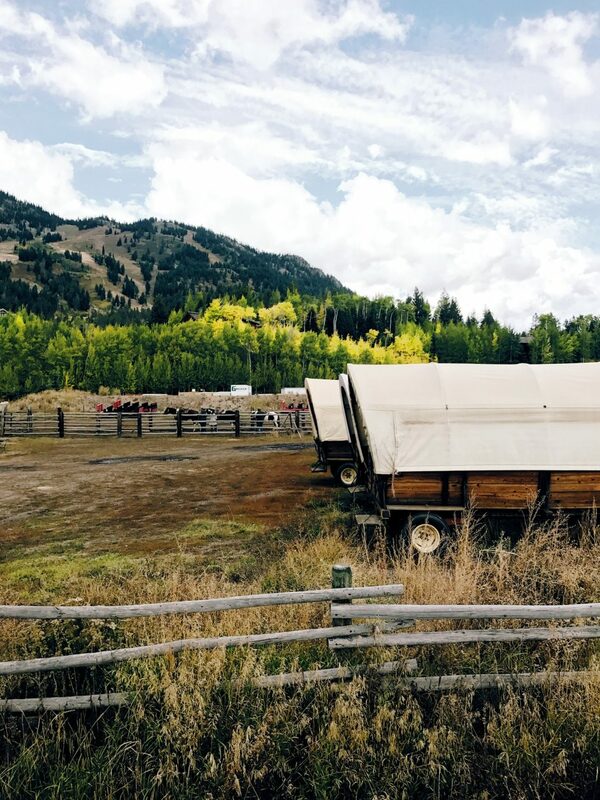 Amangani – Perched at over 2,000 feet in the American west, Amangani is an escape like no other. 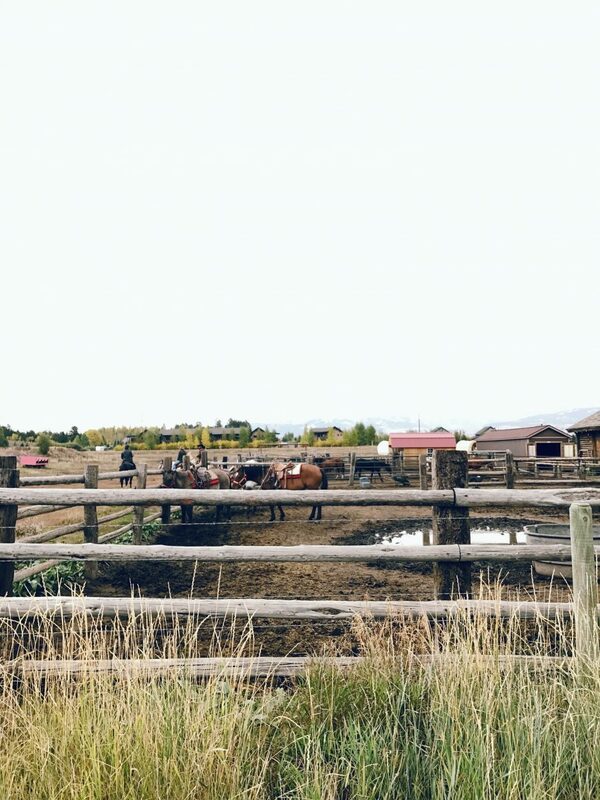 Your retreat can vary day by day with a spectacular spa, rooftop infinity pool and plenty of outdoor experiences like horseback riding, drives through Yellowstone and wildlife viewing tours. 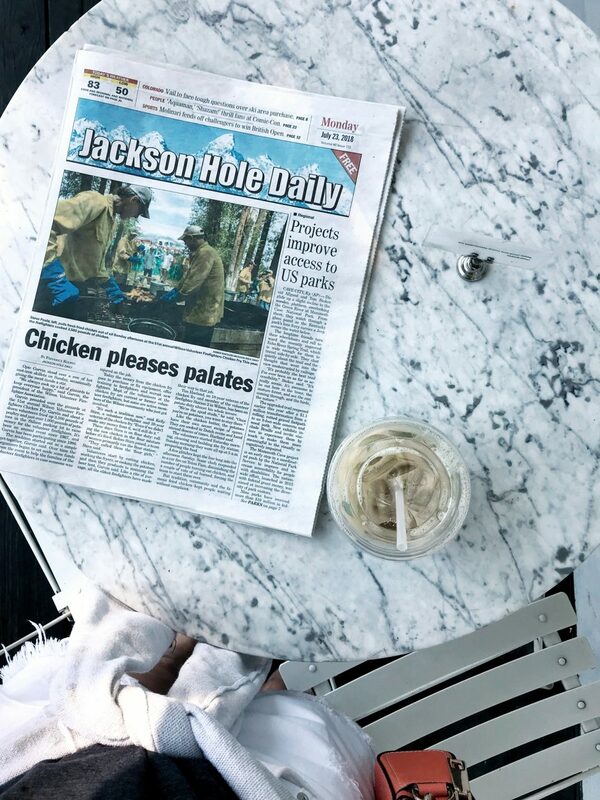 Hotel Jackson – The sophisticated interiors at Hotel Jackson will draw you in and all the amenities will make you want to stay. You’re in the heart of town’s action while enjoying the luxury of a cozy, tucked-away library lobby, a terrace in many rooms and a rooftop spa. Four Seasons – A stay at the Four Seasons is a great home base with the popular Westbank Grill for dining and The Handle Bar for late night drinks. 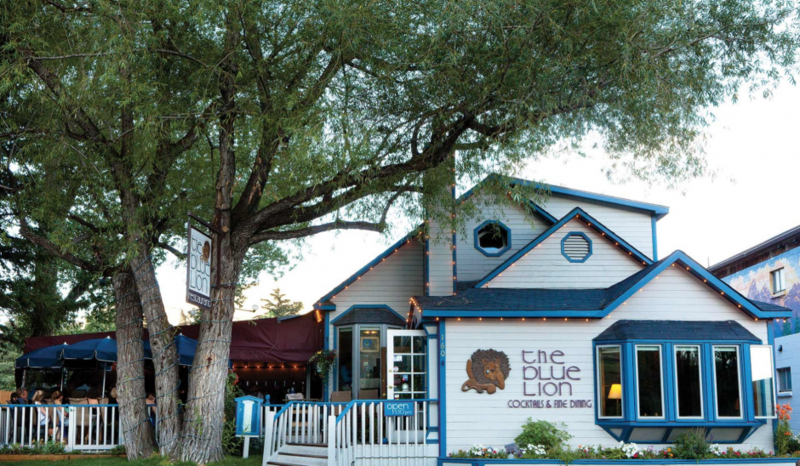 Located in Teton Village, where skiers typically stay during the winter, it’s become just as bustling in the summertime. The area is super kid-friendly and mountain air is as crisp as it comes with the lodge lying adjacent to the lift station. Hike Jenny Lake – This trail is approachable and enjoyable for all levels of hikers looking to enjoy the scenery. You can also choose to ride a bike with a rental from Dornan’s. Taggart Lake is nearby and also popular. Snow King Roller Coaster – Kids and parents alike will enjoy a cruise on the Cowboy Coaster. The ride gives you breathtaking views of the Tetons as you take off almost 500 feet above ground on the Snow King Mountain. Bike the South Park Loop – Head to Hoback Sports for bike rentals after breakfast or before lunch in town. The South Park Loop offers scenery you probably haven’t seen if you’re staying in town or Teton Village. Games at the Golf & Tennis Club – Get the guys on the course and the girls on the courts — everyone can enjoy the views and get some exercise in. Horseback & Hot Air Balloon Rides – Ride through the peaceful grassy plains on horseback at Spring Creek Ranch or wake up early for a hot air balloon ride to take in the spectacular scenery from above. 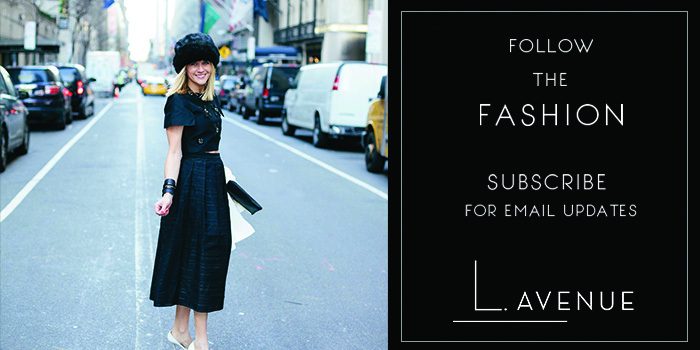 Molly contributes the weekly Friday Five link round-up as well as other lifestyle pieces to L. Avenue.